When I came back one day from my regular trail run, I was shocked to find that my KSO Treksport outsole rubber is dislodge from the midsole rubber. i tried to glued it back and it managed to hold well for the next run. I know for the upcoming HK translantau, it is very risky to go on with this pair so I decided to scout round for a replacement pair. 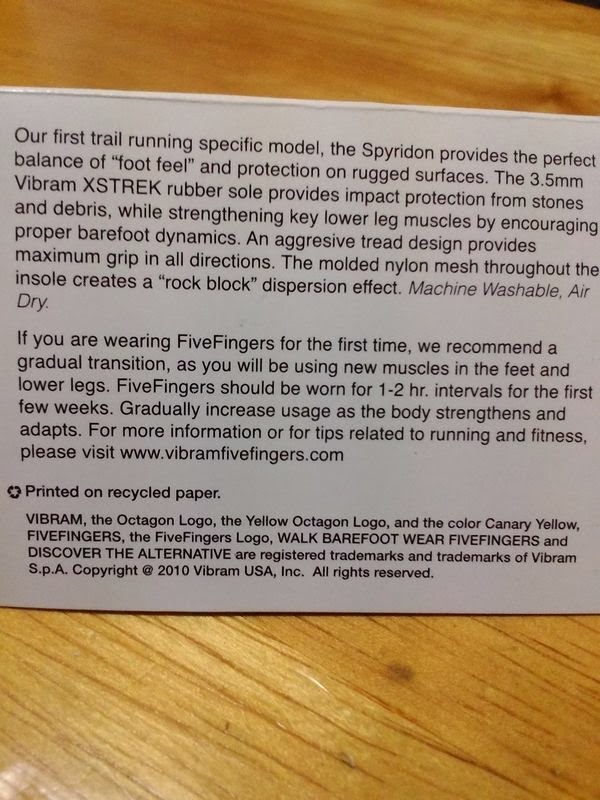 I decide to get the VFF Spyridon which is the newer version of Vibram FiverFingers for trail running. The local retail price for this pair is SGD$199 and the cheapest I can get is using UOB credit card to get a 15% discount from Running Labs which is SGD$169.15. I started to screen thru amazon, backcountry, altec and finally found a closeout deal at REI and it turned out to be USD$74.73 (~SGD$98) with free shipping within US. It took only 2 days to ship it to comgateway and shipping back to Singapore took another 5-6 days and cost only about SGD$20. So I got it at $118 and saved about 40% off the local retail price. 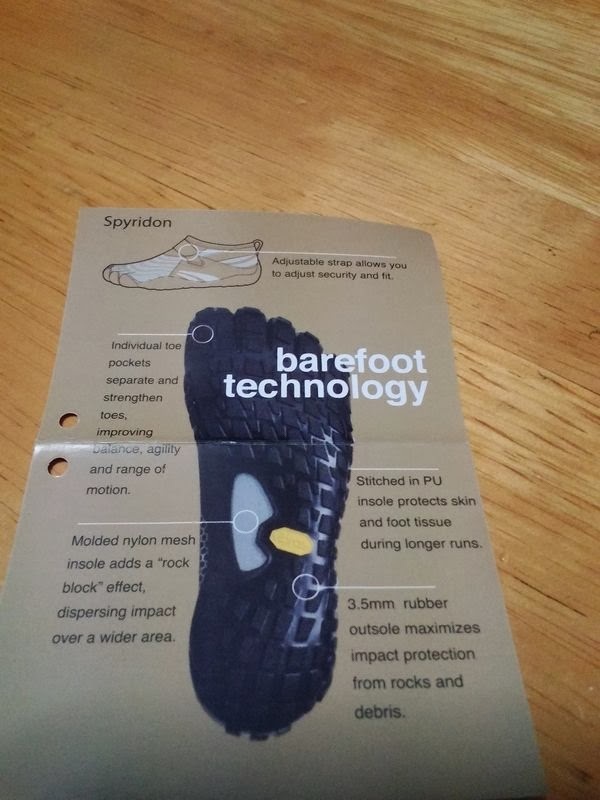 After the first run......maybe because my treksports is too worn out and the rubber sole has worn off quite a few mm....the new Spyridon felt awesome with no pains from poking stones and rocks. 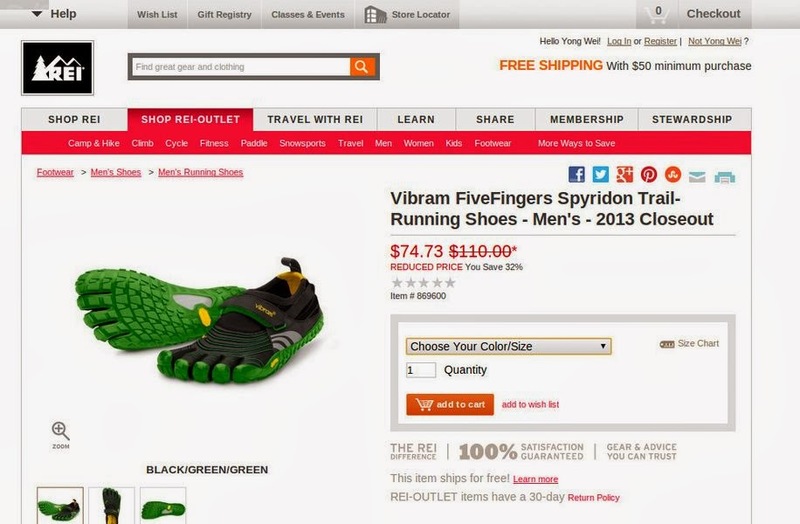 The rock stopper at the arch area has made the spyridon less flexible in the mid foot compared to the treksports...that is the trade off between protection and flexibility...The aggressive outsole is a great design for trails and the "claws" provide better traction compared to the treksports.